Boutonnieres are conventional wedding flowers given to the guest of the wedding celebration counting the best-man, father, grandfather, the usher, the reader and other important male wedding guests. Boutonniere wedding flowers are coordinated with the theme and colors of the wedding. 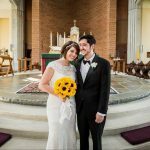 The Groom’s Boutonniere is the most significant Boutonniere, and usually it is made to match the brides’ bouquet. Take out your boutonnieres the moment you receive them and put the foot tips in fresh, clean and filtered water so they can hydrate properly. If the bottom tip is tied with a ribbon then it’s best to refrigerate the boutonnieres till they are ready to be used. Make sure your boutonnieres are kept upright and straight when they are being hydrated and that the blossoms don’t contact or rub anything to make certain that their freshness and look remains intact. This also helps in preventing the blooms from getting bruises or brown lines. Use a small container or glass to soak the end of all flower designs to keep them hydrated till the wedding day. 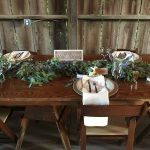 Put your boutonniere flowers in a cold, shaded place with no humidity and keep them out of sunlight until it’s time to use them. Boutonniere blooms must be kept at a temperature beneath 60 degrees and above 45 degrees to guarantee highest freshness. When you store up these prearranged flowers, keep them vertical in a vase crammed with filtered water. Please make sure that the blossoms in the corsages, bouquets or boutonnieres are not left over a surface where few of the blooms seize the arrangements or contact objects. This would ensure that your wedding flowers are going to look gorgeous and will not be damaged. 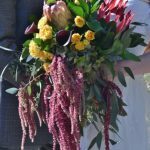 You must not move your boutonnieres from cool to hot or vice-versa temperature suddenly because drastic changes in temperature can burn the flowers. Enjoy your wedding boutonnieres and heartiest congratulations from Whole Blossoms on your wedding day! 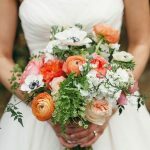 A number of people don’t believe that using Ranunculus as wedding decorations or giving them to your loved ones has significance and a meaning attached to it. 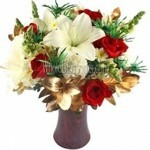 These flowers express that the individual is beaming and glowing and that you are amazed by their charisma. Ranunculuses are famous for their multi petal blooms that actually look a lot like a ladies ball gown skirt. An idyllic choice for making wedding bouquets, hot pink ranunculuses are easy on the pocket and a reasonable choice as DIY wedding flowers for adding into boutonnieres and assorted flower arrangements. Available in many bright and attractive colors, our wholesale ranunculus flowers are priced to help you save on your wedding flower expenses. 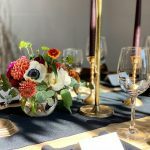 Buy our wholesale ranunculus and other fresh cut blossoms to take advantage of our free shipping directly from the fields for incomparable freshness. 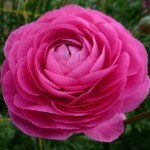 The Ranunculus is also called as Ranuncul, Ranunculas, Persian or French Buttercup. They are available in white, hot pink, pink, purple, red, peach, cream peach orange, purple, yellow, chocolate, and burgundy. The estimated vase life is 10 to 14 days; their life depends largely on handling and care. 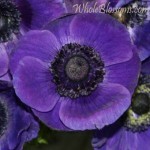 One of the best things regarding these flowers is that they are obtainable throughout the year. 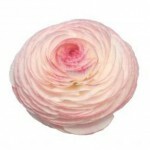 Wholesale Ranunculus’s go up to a length of 10 to 16 inches. Whereas the bloom size varies from 1 to 2.25 inches in length, ranunculuses reaped during the spring (March to May) usually maintain a little larger bloom as compared to those which reap at other time of the year. 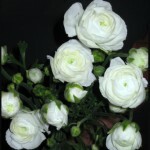 Fresh cut Ranunculus’s are packed in ten stem bunches. Ranunculus is a great choice for wedding flowers, boutonnieres, bridal bouquets, corsages, centerpieces and cake decorations. Wholesale Ranunculus look very well in bouquets and centerpieces when combined with roses, calla lilies, chrysanthemums and gerberas. Once you receive your order of Ranunculus make sure to unpack them carefully. They need to be hydrated upon receiving. Put your flowers in filtered, warm water. Cautiously eliminate any wilted leaves that may fall into water later on this also helps in preventing the growth of bacteria. Cut ½ to 1 inch off the end of the stem at 45-degree angle (use a sharp knife don’t use scissors) to let the water get better absorbed by the stems. After cutting quickly put the flowers in water as it only takes a few minutes for the stems to dry and get sealed up. Keep the ranunculus flowers in a cool, shaded moderately humid area (preferably under 45F). Don’t place the flowers near hot surfaces or warm environment. Avoid keeping them in the refrigerator during the night because ethylene gas from fruits and vegetables can kill or wilt the flowers. If the instructions on how to take care of your Ranunculus’s are followed carefully then you will certainly have fine-looking fresh flowers for your all your floral arrangements and wedding decorations. 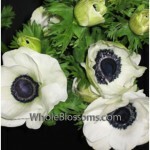 Wholesale Anemones are excellent flowers for arranging wedding centerpieces and bouquets. 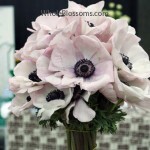 A popular flower among DIY brides, florists and wedding planners, fresh cut anemones are popular as wedding flowers for wedding bouquets due to their large, gorgeousÂ petals and ravishing centers. HYDRANGEAS DIMENSIONS: Whole Blossoms Hydrangeas are 16in-26in long. Head diameter varies depending on the variety desired. We want to present you with the answers to frequently asked questions that our customers usually ask, in this fashion you will get to know Whole Blossoms a little better. Q: If I purchase an assortment of colors, can I choose the colors that I prefer? A: Certainly! You can specify the colors you like in your order by leaving a comment in the Comments Box provided in the checkout process. Let us know in your comments that you want that item to be a special mix of colors. Q: If my event is falling on a weekend (Saturday or Sunday), when would you deliver my flowers? 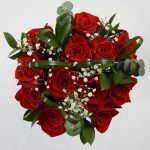 A: It is suggested that you plan out the delivery of your wholesale flowers to take place a few days before your event. For weekend events, we recommend a Wednesday or Thursday delivery. This would provide enough time to rehydrate your flowers and give room for a little blooming as most wholesale flowers are shipped with their buds still closed. Please take care that our flowers are packed and shipped from farms timely to guarantee on-time delivery, however there is always a remote chance that orders may be deferred while in shipment due to irrepressible factors ensuing by flight delays, weather, customs inspection etc. Q: If I my flowers are ordered for Wednesday or Thursday delivery, will they remain fresh for my event? A: Certainly! As our flowers come straight from the farms to you and would be 5 to 10 days fresher than those sold in local markets, or online wholesalers/ importers who stock up bulk flowers in coolers in Miami for 2 to 5 days before shipping them to you. Q: How soon should I order my flowers? A: The sooner it is the better it is! To determine availability, we advise placing your order no less than 1 month in advance. Nevertheless, you can also place standard orders up to seven days earlier to the date of delivery and with an additional fee, to place a Rush Delivery order call our toll free number: 1-877-WOW-BLOOMS. Rush deliveries are accommodated in as less as 1 to 2 days depending on the availability, delivery location and farm location. Q: Are shipping prices included? A: Yes. Wherever mentioned, product price includes Free Shipping for any delivery made in the continental US. However for deliveries outside the continental US like Hawaii, Canada and Alaska we do extra shipping is charged. After placing your order you will instantly obtain an order confirmation email. Afterwards, 1 to 2 days prior to delivery date, you’ll get an order tracking number(s) on your email alongwith instructions on how to track the order. Q: Am I required to sign or be there for my flower delivery? A: Yes, flower deliveries need a signature. Normally, FedEx won’t leave boxes because of risk of theft or outside temperature which may wilt the flowers ahead of time. If you are not available, we suggest having the flowers delivered at your workplace, your neighbors or local FedEx Kinkos where a authorized signer would be available. 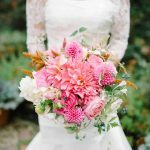 Q: When should I schedule the arrival of my wedding flowers? We recommend that you schedule the delivery date to take place 2 to 4 days before your wedding date or event in view of the fact that your wedding flowers need to be conditioned and hydrated. The added time would also provide a little cushion to manage any delays while your order is in transit. Note that despite the fact that our flowers are shipped directly from the farms to reach your destination on your chosen date, holdup and delay with FedEx, US and USDA Customs may cause your order to reach 1 to 2 days after/ before your anticipated delivery date. Q: Is it possible to change an Order after it is already placed? A: Yes. If you want to change something in your order, please call us and ask for changes at least seven business days in advance to the planned delivery date. At Whole Blossoms we cut your flowers within 24 hours before delivery. Therefore, your fresh cut flowers have a much longer vase life than the ones bought at a local flower wholesaler, local supermarket or florist. Our flowers transit in cold chain management while shipping from the farm this promotes quality and vase life of the flowers and it also helps to make sure that when you take delivery of your flowers they do not endure damage caused by drastic temperature change. The farms that we work with meet very high environmental and quality standards inside the flower industry. In fact, a major portion of flowers offered by Whole Blossoms are eco-friendly and organic, and are also certified by Rainforest, Veriflora, FlorVerde and several other environmental groups. We offer free shipping within the continental US. Please note that extra charges apply for rush orders, and those orders that need to be shipped outside the continental US. 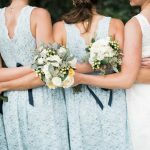 For all your floral queries we offer free guidance and consultation via chat, email and phone, we help you in deciding your wedding and event flowers. We make sure you receive your flowers! All flowers delivered by us have a signature request on delivery to guarantee that you have received your order and your package is not sitting unattended by the door. Whole Blossoms works diligently with a devoted team of logistic experts to ensure that you know your orders status in transit. On your behalf, we also track your orders. If you choose to place your order via phone our representatives will be delighted to assist you at no added cost to you! If you need a last minute order and your local wholesaler or florist failed to deliver your order, Whole Blossoms will accommodate your order and we promise that you’ll get the needed flowers. We got your back! If you want a mixed box of flowers, if you want a midst of colors or require a particular flower not listed on our website, we’ll do our best to tailor make your order to fit all your flower needs! Feel free to call us for any information on customized orders. 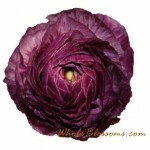 By registering on our website www.wholeblossoms.com, you will be amongst the first few to hear about upcoming specials and get exclusive offers by our newsletter which are intended to help you save. Whole Blossoms provides fresh cut, premium wholesale flowers at much lower prices than the flowers offered in local markets or online. 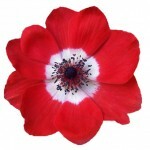 At Whole Blossoms, you pay less for superior quality wholesale flowers. We are able to offer reasonable prices because we bypass the wholesalers, the importers, and the retailer from the distribution channel thus handing over the savings to you.